FSP Introduces 700W PS2 Redundant Power Supply with 80 Plus Gold Efficiency Achieves Highest Power Density of Any PS2 Redundant Power Supply | FSP TECHNOLOGY INC. The FSP700-70RGHBE1 is a 80 Plus Gold certified switching mode power supply which uses active power factor correction and DC to DC convertors to provide stable, efficient power with low ripple and noise. It offers peak efficiency of 90% even when running at 50% load, saving significant operating costs. As a more efficient power supply, it lowers both electricity and cooling costs, killing two birds with one stone. The FSP700-70RGHBE1 is a PS2 redundant Power Supply that fits in 80% of all standard ATX PC or Tower server case without need for modification or special brackets. Both ATX 12V and EPS 12V connectors are provided for maximum motherboard compatibility. For users not using an ATX chassis, FSP provides 4 set of brackets which allow this product to fit with most server chassis on the market. With a single PSU form factor serving a range of server chassis, distributor and system integrators can stock less SKUs, reducing inventory and warehousing costs. The hot-swappable FSP700-70RGHBE1 is fully redundant with each of the two power supplies featuring its own power pin-out. Under normal operation, the two power supplies share the load for efficient and stable power delivery. If one supply fails, the other one automatically takes over for a clean failover. Hot swappable capability means a failed power supply can be replaced without system downtime. Besides all these reliable features, it’s also compliant with FCC, CB, TUV, CE, UL and CCC standards. Building on its experience creating top-tier power supplies, FSP is using reliable, server-grade components in the FSP700-70RGHBE1. Each power supply features a dual ball-bearing fan, premium capacitors, and has over current protection, short circuit protection, over voltage protection, and fan failure protection. Reliability is backed by a MTBF of 100,000 hours and a 3 year warranty. The FSP700-70RGHBE1 is an affordable power supply upgrade for servers. 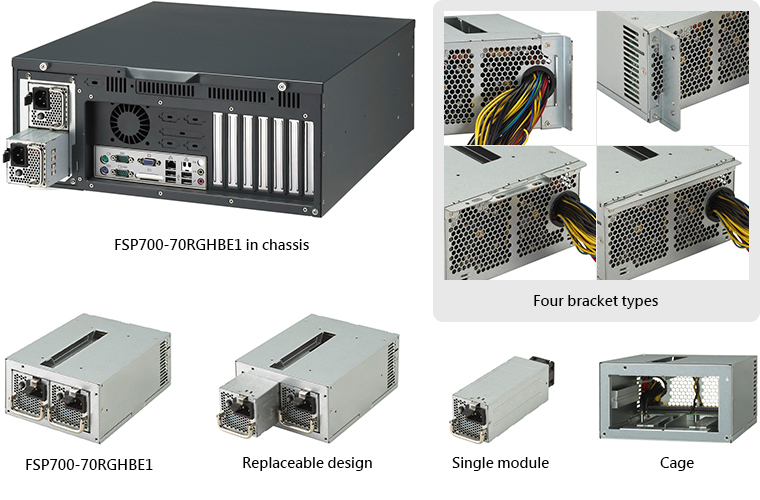 Instead of having to buy new mounting hardware to fit a more powerful power supply, users can upgrade to the FSP700-70RGHBE1 to receive 700W of reliable power in a standard form factor and they can upgrade their power supply unit to a higher wattage without having to change their server chassis. 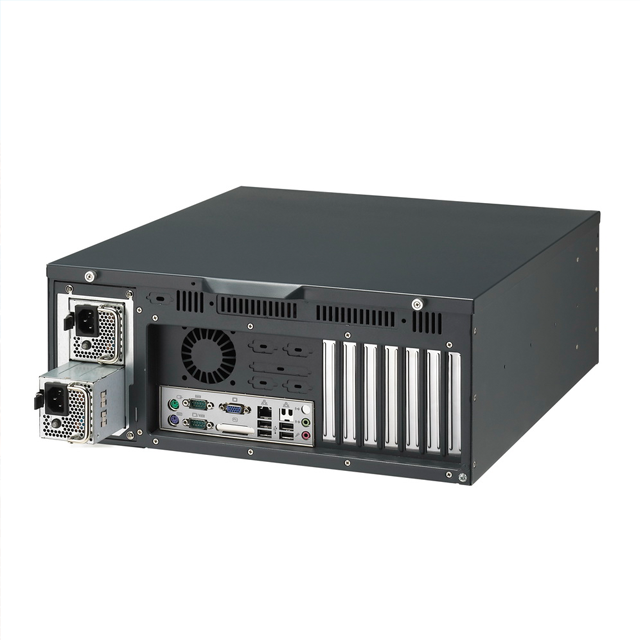 For non-redundant application, the power supply is also offered with a single PSU with the same reliable server grade construction, certifications and safety protections. In these applications, FSP offers a dummy unit for aesthetic purposes. The LED alarm guard feature alerts operators to problems in the system and simplifies problem diagnosis. If a power supply fails, an alarm will go off and an LED indicator will show which power supply needs to be replaced.